When you are looking for premium laptops, Apple's MacBooks are usually at the top of most lists. However, they are not to every consumer's taste due to their steep price. While discounts on these MacBooks are rare, B&H currently has a deal on the 15.4-inch MacBook Pro from 2018 worth taking a look at. 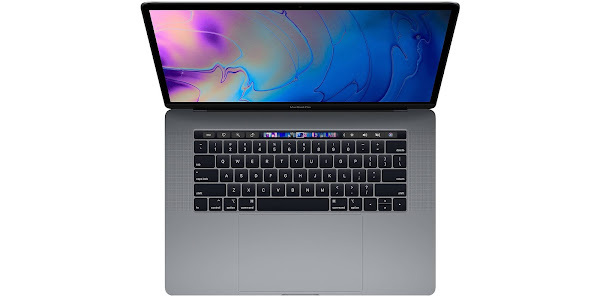 The laptop on sale is the Apple MacBook Pro which features a 15.4" Retina display with a 2880 x 1800 resolution, the signature Touch Bar that adds a row of multitouch controls to the top of the keyboard, 2TB of SSD storage, Radeon Pro 560X GPU with 4GB of GDDR5 memory and the top-end Intel Core i9 6‑core processor (2.9GHz can be boosted up to 4.8GHz) with 32GB of DDR4 RAM..
Purchasing this configuration will set you back a whopping $4700 on Apple's official website or retail store. B&H is taking $700 off this price, bringing it down to a slightly more palatable $4000. Obviously this deal isn't for everyone, but if you are in the market for one of these computers feel free to follow the link below and grab one for yourself while the deal lasts.